This one is entirely visual. Draw a full circle with your racquet, visualizing the face of a clock. 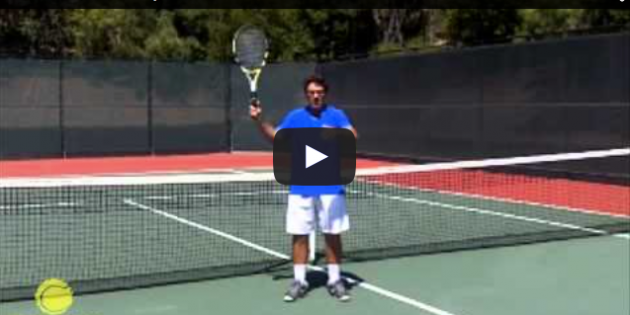 At 3 and 9 o’clock, your arm is horizontal, the racquet head is well away from your body. Down at 5 and 7 o’clock your arm points down, the racquet head falls below your hand, and your reach is not as extended as it was at 9 and 3. The circle of play is a natural way to feel how your arm moves at various heights, and how to position for the low and high shots.